On this page you will find a list of the Al-Baz Publications, accompanied by a short description. You will also find a link that will take you to an excerpt of the book. If you wish to order the book you can click the "Order" link, which will enable you to use a credit card to place the order. This is the Muhtar Holland English translation of this precious work. 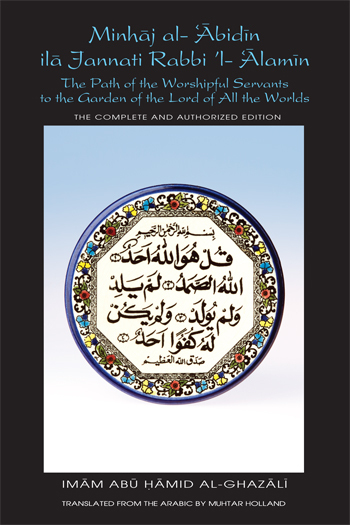 Although there has been previously published an English interpretation by respected Shaikh Tosun Bayrak, this is the first actual translation into the English Language and includes transliteration of all Arabic key words. The contents are too diverse to describe here, but include: The shops of the spirit in the body; Division of knowledge into knowledge on the tongue and knowledge in the inner core; The number of the sciences; Explanation of the Sacred Law [Shari'a], the Spiritual Path [Tariqa], Direct Knowledge [Ma'rifa] and Reality [Haqiqa]; Concerning the people of spiritual culture [tasawwuf]; The difference between the ascetics and the people of intimate knowledge; Meanings of the term tasawwuf; The five tokens of bliss; The tokens of misery; The four domains, the spirits, the manifestations, and the intellects and so on. This is a most important book for anyone traveling the spiritual path. Twenty-four sections. 'Ali ibn Husain Safi , the author of the Rashahat, lived in the beginning of the 10th Century AH. He was brother-in-law of the famous mystic and poet Jami who gave him the name 'Safi'. In the Rashahat 'Ain al-Hayat, Safi gives an account of the lives and teachings of a group of Sufi mystics known as the Khwajagan - the Masters of Wisdom. The Khwajagan lived in Central Asia between the 4th and the 9th centuries Hijri. The ranks of the Khwajagan include the great sufis 'Abd al-Khaliq al-Ghujdawani and Baha' al-Din Naqshband, who gave his name to the Naqshbandi order, though he did not found it. The many branches of the Naqshbandiyya survive to this day. This book is the first translation of the Rashahat into English and provides the present generation with clear and precise biographies of the great and genuine sufis who emerged in Turkestan at a most significant period. The Mainstay, Concerning Jurisprudence- A Handbook of Hanbali Fiqh. Shaikh al-Islam Imam al-Muwaffaq ibn Qudama (A.H. 541-620) was one of the luminaries of his day and age. Born in the town of Jamma'il in Nablus in Palestine, he emigrated to Damascus with his family at the age of eight, after the Crusaders had seized control of his country. Studying at first under the tutelage of his father, Shaikh Abu 'l-'Abbas Ahmad ibn Muhammad ibn Qudama, he learned the rudiments of the religious sciences, and the texts of the Hanbali school of jurisprudence, including the Mukhtasar [Compendium] of al-Kharaqi. At the next stage he studied under various of the Shaikhs of Damascus and continued to make progress in learning, until he reached the age of twenty. Then, between the years A.H.560 and 561 he embarked on an educational expedition to Baghdad. At the outset of his career, al-Muwaffaq spent a brief period in the presence of Shaikh 'Abd al-Qadir al-Jilani. Under the Shaikh, then in the ninetieth year his life, he studied the Mukhtasar [Compendium] of al-Kharaqi at the level of understanding and meticulous scrutiny. Shaikh 'Abd al-Qadir completed his earthly life shortly after that, so al-Muwaffaq turned to the Shaikh of the Hanbalis and the leading jurist of 'Iraq, Nasih al-Islam Abu �l-Fath Nasr ibn Fityan ibn Matar an-Nahrawani, well-known as Ibn al-Muna (A.H. 477-564). Under him he studied the jurisprudence of the school of Imam Ahmad [ibn Hanbal]. After four years in Baghdad he returned to Damascus and there he preoccupied himself with the composition of his great commentary (al-Mughni) on al-Kharaqi's Mukhtasar. This is the 'spiritual autobiography' of the great Imam al-Ghazali, and describes what caused him to leave fame and fortune to undertake the spiritual path of the Sufis. In it, besides providing a personal history and describing the key events which led to this and flowed from it, Imam al-Ghazali takes time to repudiate the methods and logic of the philosophers and the esotericists (batiniyya) and the principles of sophistry. Lastly he provides a section on the Reality of Prophethood and the urgent need all people have for it. This is a book that contains much of value to the genuine seeker of Truth. This is a commentary by this famous Imam on the Futuh al-Ghaib, a collection of 78 discourses by Shaikh 'Abd al-Qadir al-Jilani. In it is to be found the clear approval that the Imam had for the Sufi path, provided that the commandments of the Sacred Law (Shari'a) are faithfully observed. In it Ibn Taimiyya extols several of the great Sufi saints (awliya'), and elucidates many of the discourses of Shaikh 'Abd al-Qadir. This may surprise those who have been informed that Imam ibn Taimiyya was opposed to Sufism and was hostile to it. It is a fact that the Imam himself was a sufi, haven taken the cloak (khirqa) of the Qadiris from Imam ibn Qudama. "We therefore looked into the subject of worshipful service, and made a careful study of its path, from its beginnings to its destinations, which are the desired goals of its travellers. It is indeed a rugged path and a hard road, fraught with many obstacles, serious hardships, remote distances, enormous difficulties, frequent hindrances and impediments. It is beset with deadly perils and interruptions, abounding in enemies and highway robbers, and offering very few companions and followers. This is exactly how it needs to be, since it is the path of the Garden of Paradise..."
The Al-Baz edition of this work is the only complete and authorized Muhtar Holland translation into English of this important book. By Mawlana Nur ad-Din 'Abd ar-Rahman Jami. This massive and well-known work is already translated (by Muhtar Holland) and is in the process of being typeset. It will be presented in two volumes.